The face of today’s business world is constantly evolving. 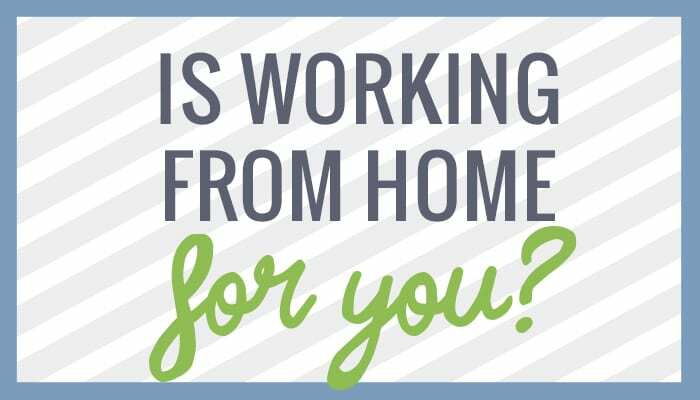 According to Small Business Trends, there are now 3.9 million people in the US workforce who work from home at least half of the time. Remote workers can provide great benefits to companies, both large and small, such as overhead costs, increased productivity, fewer sick days, and improved attitude. It also can be a great benefit to the worker, if the personality and atmosphere are a good fit. Of course, working remotely can also come with some difficulty as well! Here are 5 things you might find as a set-back when taking on a new position as a remote worker. It’s no surprise that as a remote worker your dress code will differ. But the real key is to REMEMBER what you are wearing when you take that 9:00 video conference call. As a remote worker, pajama bottoms are completely acceptable, in fact, encouraged! As long as, say for example, you aren’t asked to retrieve that paper that is on the opposite side of the room. Because crouching down and waddling over really doesn’t play any better on the call than the PJs. So we’ve heard anyway. 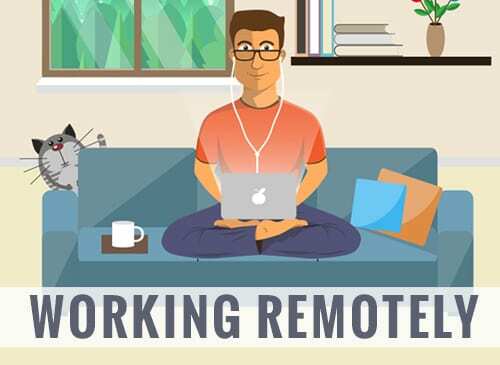 One of the great benefits to remote working is the flexibility it provides to staff. Employees are completing tasks on a time table that better fits their schedule, which leads to greater productivity. Yet just a note of caution: Be careful of trying to work on your social media at 10:00 at night after your dinner cocktails. Those posts may not prove to be as funny in the morning. Again, so we’ve heard. One of the biggest drawbacks of working from home is the sheer isolation. There is a great decline in juicy water cooler gossip. It seems that things tend to not spread as easily, and often times you turn out to be the source, topic, and spreader of the gossip. And quite honestly, we just don’t think the dog really cares enough to participate! Or so he said. One enormous negative to working from home is that you are literally bringing your work home with you. It can be easier to turn away from emails and phone calls when they aren’t dinging at you from the room next to your family’s dinner table. Although work-life balance may be as mythical as a unicorn, working from home is definitely just that. Work-at-home. And trying to get these kids to collate is a real nightmare. As a remote worker, you are solely responsible for managing work time to ensure all obligations and deadlines are met. Obviously, there is still great connectivity to the office, but the choices of how, when and the amount of focus time is in your hands! It can be difficult to carve enough time into your day to do all the things you want to do since you’re at home and yet still complete the duties of the office. Of course, if anyone knows how to manage a conference call with your bosses without letting on that you’re in the middle of Macy’s, let us know. Just asking for a friend. In all seriousness, working remotely has a great many benefits that can be an ideal fit for both employers and employees. Industries like the medical field, computer and IT, education and training, customer service and finance are all fields that are doing the most hiring of remote workers. It really boils down to will it work for your company/industry, and do you have the right employees to handle the flexibility and freedom that come with remote working. Now I seriously need to go find out who is dating the new guy in HR. I’m pretty sure the dog knows, but he’s not sharing!